After updated to Version 4.1, users are finally able to upload videos on Instagram. Instagram allows users to upload videos but with so many limitations. Users can only upload videos in .mp4 format and up to 60 seconds. If you can’t follow these things then you can’t upload videos to Instagram directly. Some users face the problem that they are having videos in the MOV format and unable to upload it on Instagram. This article will introduce how to upload MOV to Instagram easily. iTube Studio Video Downloader for Mac or Windows is a powerful video downloader, converter, and transfer program for you, which allows you to convert MOV to Instagram in just one click. 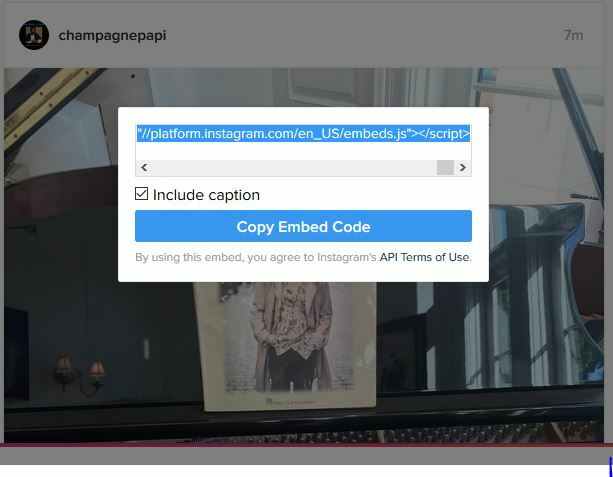 After converting your videos into Instagram supported formats, you'll be able to upload the videos to Instagram with easy steps. Also, this program helps you to download videos from the video sharing sites to MP4 directly for uploading to Instagram. In this part, we'll introduce how to use iTube Studio to upload MOV to Instagram by converting it to supported MP4 video format. Download videos from Instagram, Vimeo, YouTube, Facebook, Metacafe and other 10,000+ pupular sites. Built-in video recorder to help capture any online video or live sessions with original quality. Support to batch download multiple videos simultaneously at 3X faster speed. Direcly download videos from a sharing link of online storage backup drivers like Dropbox, One Drive, etc. Equipped with a Private Mode to fully protect your video downloading info with a password. Below is a detailed tutorial on how to download videos from Vimeo in Safari, which is to great extent similar to those in Windows. Download and install iTube Studio on your computer in accordance with your operating system. Now launch it and click on “Convert” Tab. After that, click the + button at the upper left corner to add MOV files from your computer. After iTube Studio added the video, you can click the Convert button at the right side of the video. After you clicked the Convert button, you'll see a pop-up dialog. In this pop-up dialog, select MP4 as an output and click OK at the lower-right bottom. 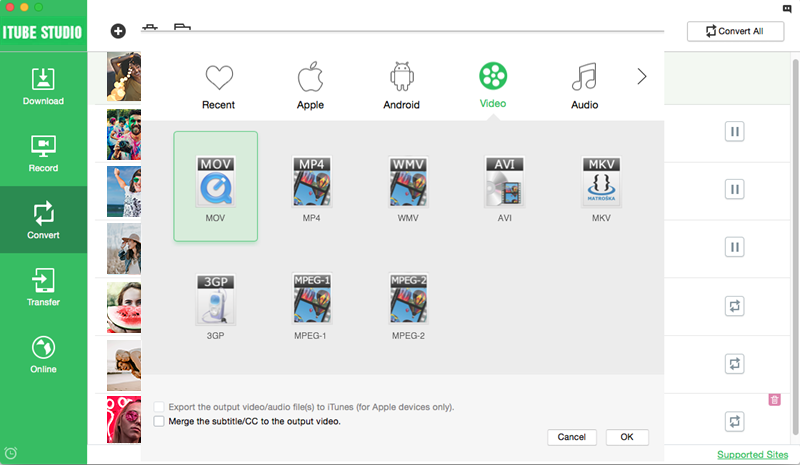 Now iTube Studio will start converting MOV to MP4 video. When the converting process finishes, you'll see the Converted Successfully words. You can transfer the MP4 video to your Android phone to upload it to Instagram. Please note that iOS users can't upload the videos that are saved in their Videos app. 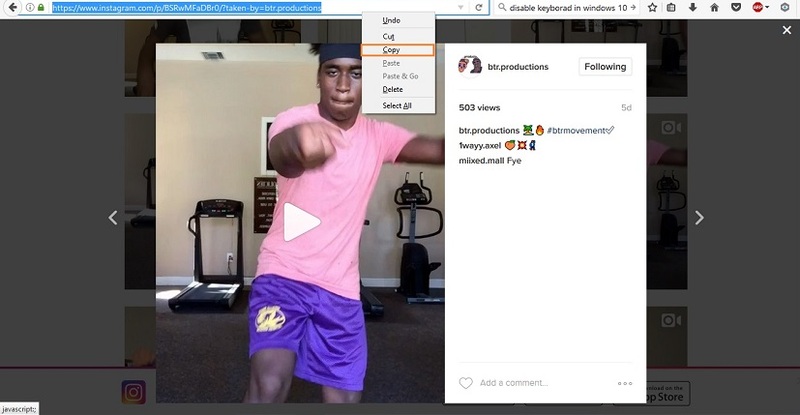 If you want to save some interesting videos on the Internet and share them on your own Instagram, no worries, with iTube Studio installed, you will see a Download button beside the video you are watching. Simply click the Download button, this ultimate video downloader and converter will start to download the video automatically. 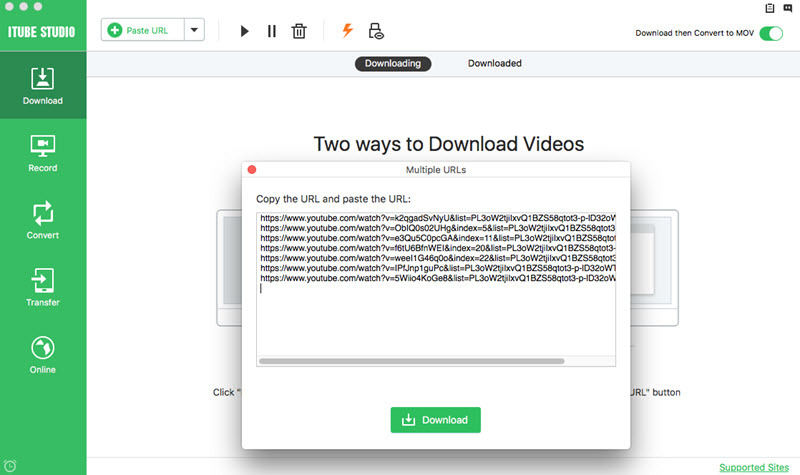 You can also use the "Paste URL" option in this ultimate video downloader. iTube Studio allows to input as much as 1000 URL link together to download videos simoultaneously without too much attention. Try this outstanding feature by yourself! 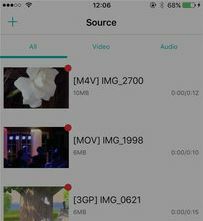 Video Converter/Editor is a video converter app which can help you to convert your local videos on iPhone directly to upload on Instagram. This video converter app will help you to upload MOV to Instagram with easy process. In this part, we're going to introduce how to use this video editor app to upload MOV to Instagram. Step 1 Install the app on iPhone from the App Store and start it. When you launch this app it will automatically detect all the available videos of your iPhone. Now just tap on the MOV video which you want to convert to Instagram format. Step 2 Now tap on the “Convert” button from the option menu. 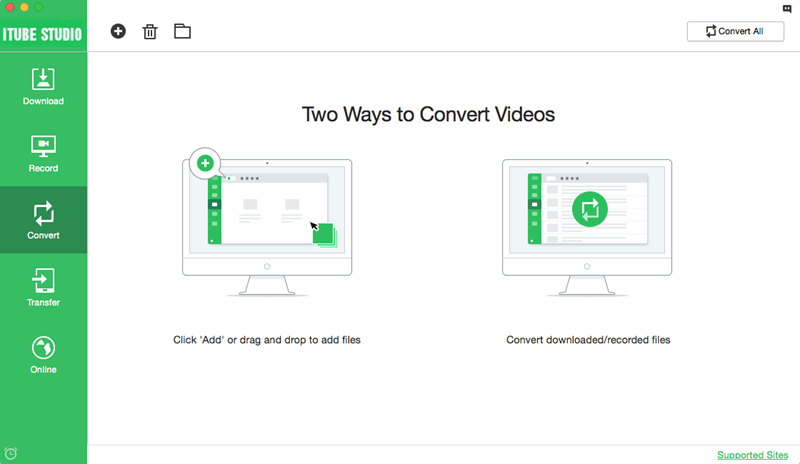 Your video conversion will start now. When the conversion finishes, you'll get the videos in your phone directly. Now you are able to upload this converted video to Instagram. Both of the mentioned ways are helpful for you to upload MOV to Instagram easily. iTube Studio can help you to convert your local computer or online videos to Instagram supported video formats, and then you can transfer those videos to your Android mobile to upload to Instagram. 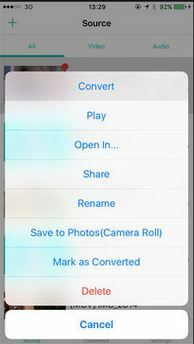 The iPhone converter app will only help you to upload MOV on Instagram from your iPhone, but you can't upload the MOV videos which are saved in your computer with this iPhone app.